Chicken lovin' gate at Armstrong Egg Farms at 27431 N. Lake Wohlford Road, Valley Center/Escondido. Eggs and chicken manure, too? Egg-laying chickens at Armstrong Egg Farms off N. Lake Wohlford Road “have less friends in their cage,” said a wry Ryan Armstrong this week, and egg prices have doubled since California’s Proposition 2 went into effect on January 1. That proposition approved by state voters in 2008 calls for 25 percent more room in chicken cages, effectively cutting the number of hens per cage in half. A 2010 legislative add-on rule required out-of-state producers to follow state cage laws for all eggs sold in California. California is not alone in the new roomier chicken cage laws. Ohio, Oregon, Michigan and Washington have passed similar legislation now going into effect. Technically speaking, each hen must have 116-square inches of cage space in which to spread its wings. While egg-laying hens have more room to stretch their wings, turn about and maybe not do the hokey-pokey, but certainly roam around a lot, consumer egg prices have soared. That’s due to increased production costs as a result of required compliance. 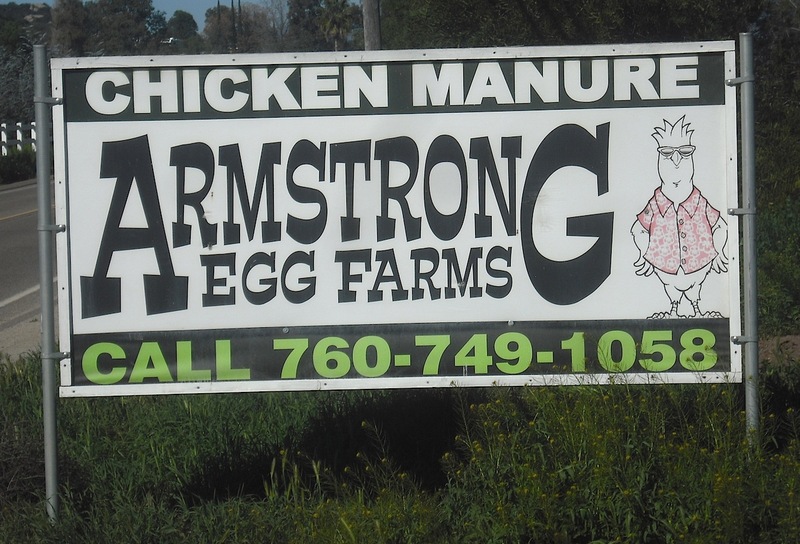 Ryan Armstrong, president of Armstrong Egg Farms. Before the law went into effect last December, a dozen jumbo and extra-large Grade AA eggs sold for $1.25. 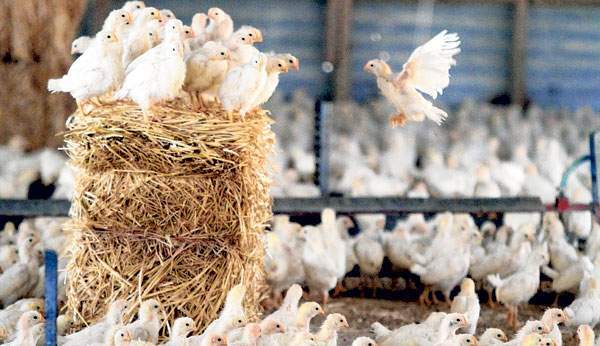 Prices immediately went through the chicken coop roof in January, peaking at $3.50 per dozen. A drop in demand has stabilized prices at around $2.50 per dozen, according to a USDA shell-egg market report. In effect, it was a case of voters getting what they wished for with unintended consequences. Egg producers opposed the law due to the anticipated price rise they had to pass along to consumers and because they believed the existing cage structures were humane enough. Californians require about 30 million birds producing eggs to meet demand. However, state producers these days were calling on fewer than 10 million birds, according to Armstrong. Eggs have to be brought into the state primarily from top-producing areas at Iowa and Ohio, he added. Since Proposition 2 went into effect, the number of egg-laying California chickens has dropped to 15.6 million last year from 17.46 million in 2013, according to the National Agricultural Statistics Service. Inside the Armstrong chicken coop. Armstrong Farms has been able to adjust better than most. The operation already featured a significant cage-free presence and has strong strategic partners. Fluegge Egg Ranch at Crown Hill Lane also produces eggs in the Valley Center area. Shea Fluegge, said they ranch had put in a new barn and replaced cages to comply with the new regulations. 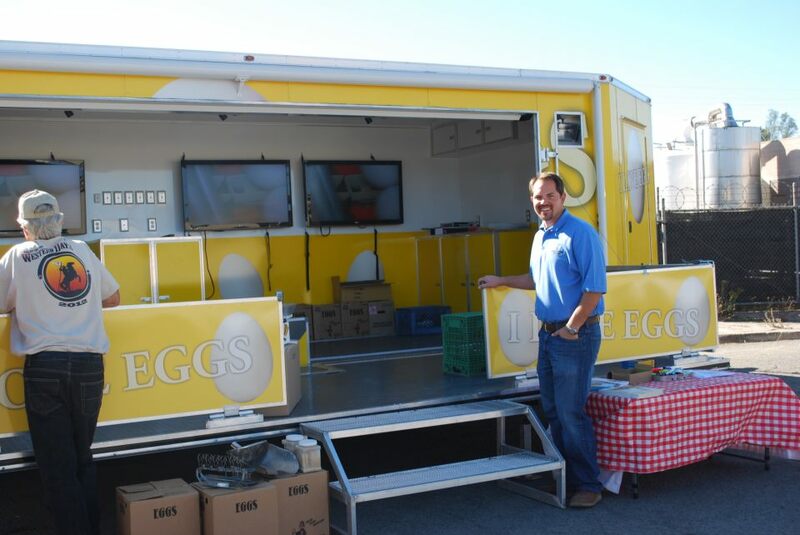 San Diego County is one of the nation’s top five egg-producing counties. As a whole, the county has around four million hens laying more then 800 million eggs annually. Egg farms generally are centered around Ramona with smaller flocks at Valley Center and Lakeside. The largest producer may be Pine Hill Egg Ranch, east of Ramona with a reported one million-plus birds. It’s one of the largest operations in the state. The county crop report estimated county egg production to account for four percent of county agricultural production valued at $76 million in 2013.